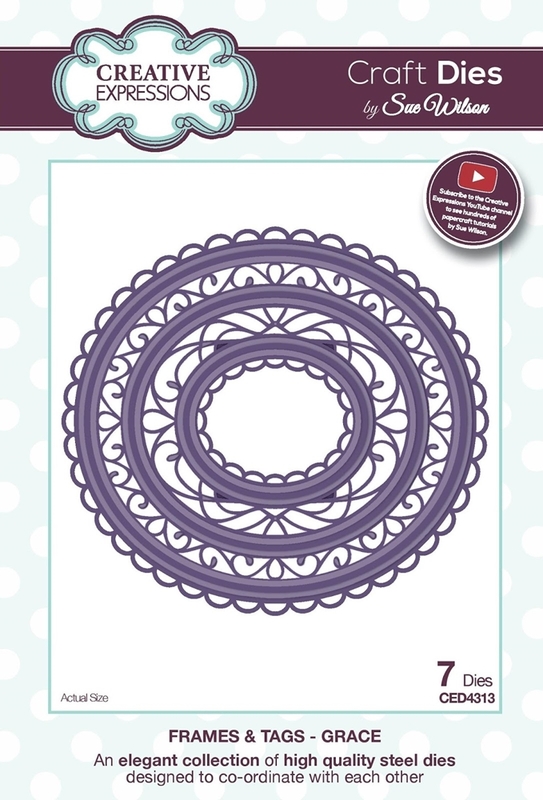 Welcome to the Dies R Us Inspiration Blog. Ann here with two rose cards that could be used for almost any occasion. For the first card, I began by cutting the Penny Black Edger on the lower white top panel and again on a piece of black paper, then attached the black edger to a top white panel. 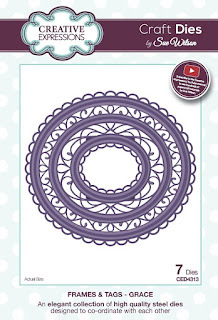 The black fancy oval was then cut out using the Sue Wilson Designs -Frames & Tags Grace as was the white center oval. I used the Single Rose by Paper Smooches as the focal point on the card, cutting it out twice with black paper then layering them on top of each other for a thicker frame. 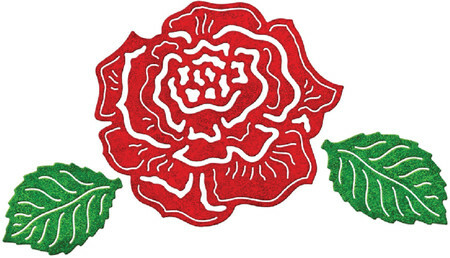 The red and green part of the rose was made by coloring a piece of acetate with alcohol inks. After cutting the die on the red and green acetate, I just adhered the pieces with a glue pen. I added a few drops of Glossy Accents on the rose to make it look like raindrops but it is kind of hard to see. For this card, I used the Cheery Lynn Designs Rose and Leaves, Sue Wilson's Californian Collection Decorative Frames Set B, and Sue Wilson's Californian Collection Decorative Frames Set A. Helpful Hint: Did you know you could make your own foiled cardstock in any color you wanted? I like pink foiled cardstock but it's very hard to find so I make my own by using various shades of red and pink alcohol inks dabbed onto silver foil cardstock. I used this for my pink rose. Both lovely cards Ann, showcasing the super Sue Wilson dies. Fabulous roses, thanks for sharing the techniques you've used. Beautiful cards, Ann. Both are stunning, your first one s my favorite. 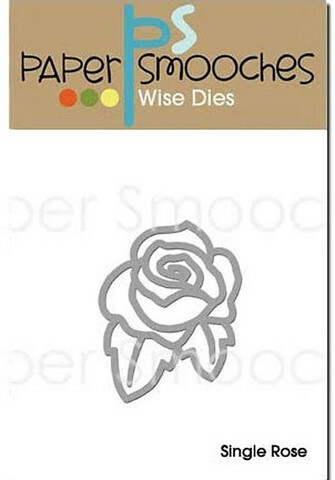 The dies are awesome and I adore the black and white as your red rose just POPS! Beautiful! These are gorgeous Ann ... thanks for sharing such wonderful inspiration! 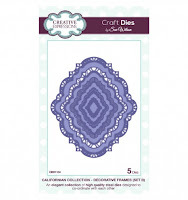 Great designs with these beautiful dies! These are both just Beautiful, I love your idea of coloring the acetate and the black framing is so pretty!! 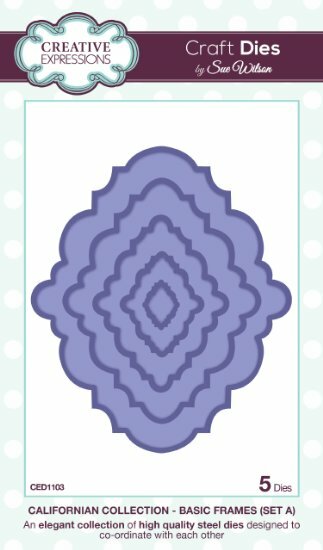 I can see the raindrops when I make the card bigger, such a pretty touch!! Great tip on the coloring of the foil too!! Wow Ann, these are both gorgeous! I love your tip about making your own foil card stock. So genius! !